Have you ever thought that for aeroplane pilots, every day at work is a blue-sky day? Soaring above the clouds you might think that the weather isn’t such a big deal. But this couldn’t be further from the truth. Pilots are dependent on weather information at every stage in their flights. In this blog post, we discuss one crucial aspect of aviation weather that affects both pilots and passengers – turbulence. Most of us have experienced aircraft turbulence before, but what is it? 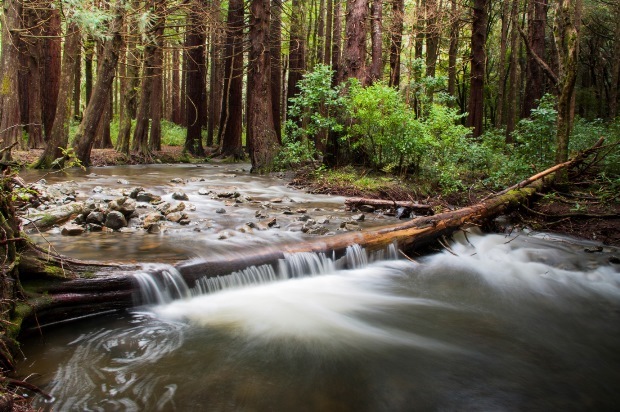 Look at the middle of a deep, wide river, and chances are the water is running smoothly like in the photo below – we call this laminar flow. Look near the edges, where the water flows in eddies and swirls - we call this turbulent flow. If you look more closely at the eddies, you’ll notice that within each big swirl of water, there are many smaller ones. Within them, smaller ones again. In 1920, Lewis Richardson, the pioneer of modern weather forecasting, described this phenomenon in the rhyme below: “Big whorls have little whorls That feed on their velocity; And little whorls have lesser whorls And so on to viscosity.” Lewis Fry Richardson, 1920. Now imagine a boat in the river. Eddies which are much larger than the boat make it slowly drift one way or another, but won’t lead to any sharp movements. Very small eddies will just flow underneath the boat without noticeable effect. It’s those eddies that are a similar size to the boat that cause it to make sudden, chaotic movements. River flow, S. Clubb 2012. Look for the turbulent eddies on the left and right of the main flow. It’s similar for aeroplanes in the atmosphere. Eddies of air much smaller than the aeroplane have little effect, and neither do eddies much larger than the plane– aside from creating a head or tail wind. But when the plane flies through eddies of about the same size as the plane, the different accelerations on different parts of the plane lead to bumps and vibrations. Most turbulence is found in the lowest kilometre of the atmosphere – known as the planetary boundary layer. This turbulence is called mechanical turbulence, and is due to the friction of the wind against the ground. Consequently, there is more mechanical turbulence over land than over sea, due to the roughness of buildings, vegetation and topography. These eddies are what create gusts and temporary changes in direction near the ground, as the air swirls around all the obstacles. As a rule of thumb, the ratio of gust speed to mean speed is around 1.3 at sea, 1.8 in open ground and 2.2 in large cities. So over the sea gusts are typically 30% stronger than the mean wind, but over a city the gusts can be more than twice as strong as the mean wind. Turbulence can also arise due to convection. You’ve possibly noticed a jolt as a plane comes in to land through a cumulus cloud. The jolt isn’t due to a change in density of the cloud. The jolt is due to the strong upward motion of air that was creating the cloud in the first place. For cumulus clouds, this up-motion is often called a thermal. 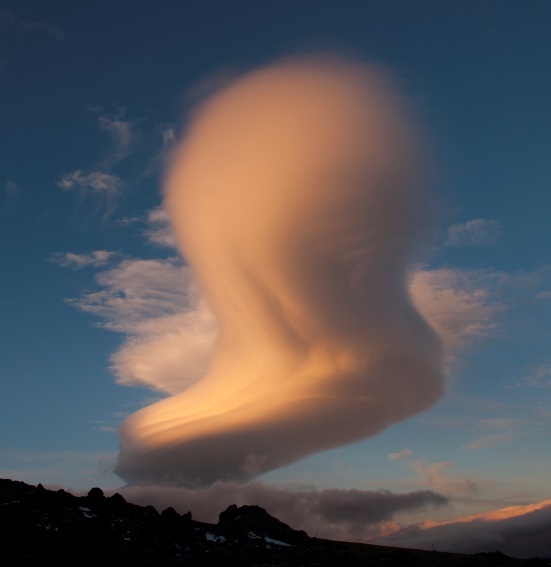 For bigger convective clouds – such as cumulonimbus clouds which around NZ can stretch 11km or so up into the sky – these upward motions are much stronger, and there can also be dangerous downdraughts. Pilots try to avoid flying through cumulonimbus clouds because of turbulence, but also due to the hazards of hail, lightning, and liquid water at temperatures below freezing that can freeze onto the airframe. A close relation to mechanical turbulence are mountain waves – which can create the ‘northwest arch’ and lenticular clouds. Going back to the river analogy, imagine a rock just below the surface. Downstream of the rock will be a series of waves (a wave-train) as the water rushes over the rock, sinks down, buoys back up etc. Despite water constantly rushing through them, the waves themselves are pretty much stationary. The same can happen in the atmosphere. Air is forced upwards over a mountain range then, downstream, can create a wave-train of rising and falling motions. At the top of each wave there is often a lenticular cloud as the rising air cools and the water vapour condenses. In between the rows of lenticulars the air is descending and warming, so there is no cloud there, as in the diagram below. Cross-section of air flows and clouds associated with mountain waves. Although at the lenticular level the flow can be quite smooth, beneath each cloud can be dangerous downdraughts, rotors and strong turbulence. When the wind is very strong, the rotors can mix all the way to mountain top level, leaving no lenticular clouds but a very high turbulence risk. In other situations, when the atmosphere is stable, these waves can propagate upwards through the atmosphere and ‘break’ like an ocean wave much higher up, leading to turbulence at aircraft cruising altitudes. So, to summarise so far, turbulence during take-off and landings is due to mechanical turbulence from the ground, convective turbulence from thermals, and the low-level part of mountain waves. In flight, turbulence can be due to cumulonimbus clouds or mountain waves. But there is one other form of upper-level turbulence that is impossible to see, but equally important, and that is clear air turbulence (CAT). Once again, because air is hard to visualise, we’ll make the analogy of a river. When a major tributary joins the main flow, the confluence of the two flows leads to ripples and turbulence. Also, when the river takes a tight turn at high flow rates, the water on the outside of the bend has to travel much faster than the water on the inside, and if the water cannot support this amount of shear, then the flow once again becomes turbulent. In the atmosphere similar changes in upper air currents can lead to turbulence. Sharp changes in direction or merging of different currents can lead to areas of severe turbulence without any visible sign to warn the pilot. However, meteorologists can forecast these events based on satellite imagery and computer models, and can help pilots either avoid them or minimise their impact. As noted at the start of this post, turbulence is just one aspect of weather that affects aviation. As well as public and marine forecasts on www.metservice.com, MetService provides the aviation industry with a suite of specific forecasts and warnings on weather for flying. These products are supplied both domestically and internationally (in cooperation with overseas agencies) so that your next flight will hopefully be a smooth and enjoyable one.